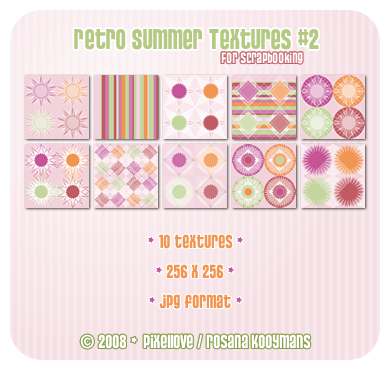 Yet another set of high quality scrapbooking textures! You may use these for scrapbooking (or other personal things, like a website). The 10 textures are all 256x256, high quality JPG files. If you want smaller textures, you can contact me.